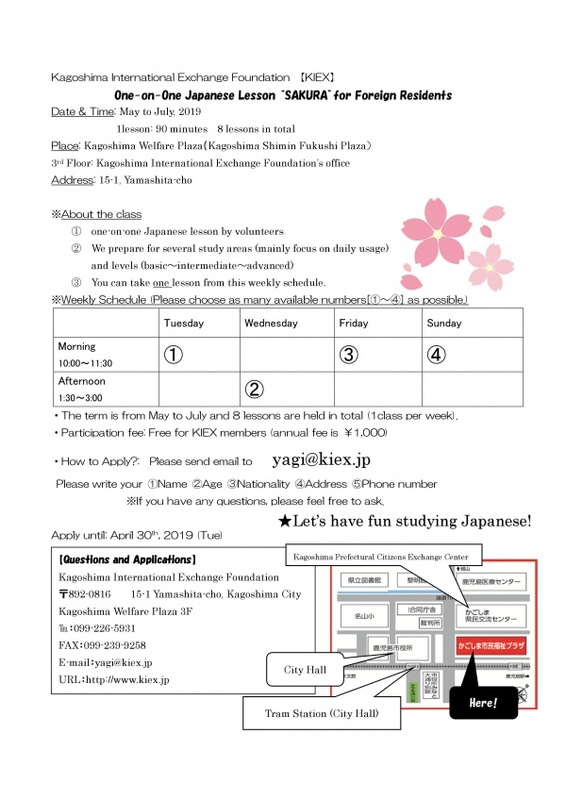 One-on-one "Japanese Class for Daily Life"
KIEX will hold Japanese lessons by volunteer teachers from May, 2019. 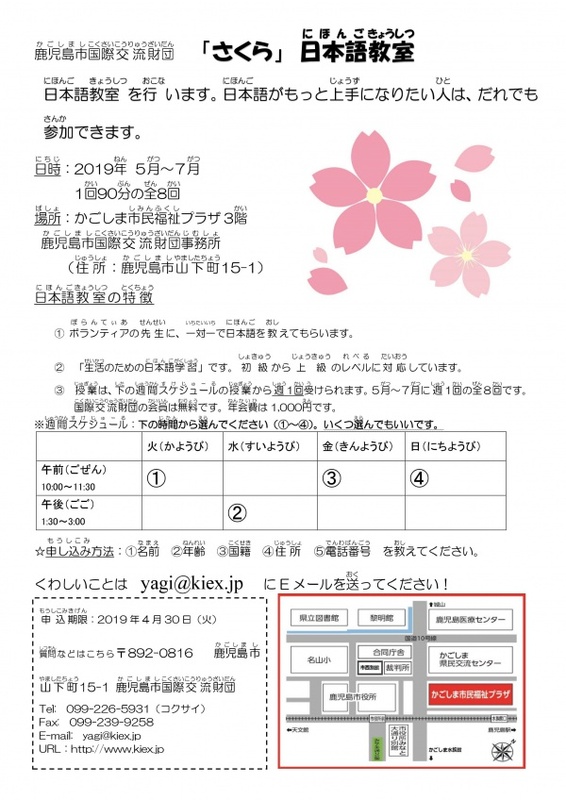 The main aim of the lessons is not mainly for the qualification or test but inform Japanese related to daily life. Please see the flyer for more details.